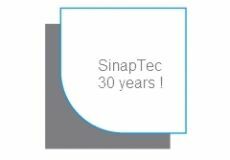 These transducers have been designed by SinapTec for their vibration amplitude and high yield. 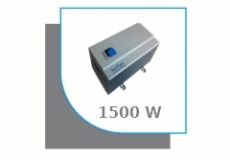 They are exclusively manufactured by SinapTec and deliver a continuous power of 65 W. Unit transducers are the easiest and most economical way to equip a tank with ultrasound for cleaning applications. They can be installed on different side walls, and distributed in most critical areas to be cleaned. That enables optimized implementation for each need. 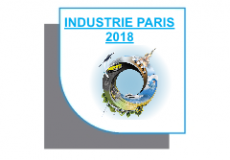 To know more, please visit the page How to choose? The specific method of fixing the ultrasonic cleaning transducers ensures energy good transmission in the washing bath and long lifespan. This is the most widely used transducer model because it is very efficient and cleans all kind of parts and materials. The 28 kHz frequency enables to remove particles up to 500 µm. 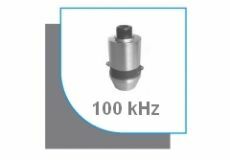 The 40 kHz transducer model is softer on sensitive materials and causes less noise. It is used especially for finishing cleaning in areas such as medical. This transducer detaches particles between 2 and 100 µm. This 100 kHz piezoelectric transducer allows realizing thorough cleaning an rinsing. High frequency ultrasounds respect sensible materials and fine structures. It removes particles of less than 10 µm. Other frequencies or multifrequency transducers can be provided on request.